As part of our work we have developed a new engaging approach to copyright education sessions. For those of you who have ever delivered copyright training, you know it can often be a rather dry subject, that we often have difficulties persuading colleagues to attend. Well that will all be set to change, once you start thinking more creatively about copyright education. Instead of focusing on aspects of the law and thinking about what copyright might stop people from doing, our game encourages them to focus on four positive aspects to copyright. it is based on working in teams to tackle a number of common scenarios. We are looking to add new scenarios to the game all the time, to make it relevant for different types of staff and hope to start working on a version for PhD students. Copyright works – what is the material that someone wants to use? Is it protected by copyright and how is it defined in the law? Usages, or what the law calls the ‘restricted acts’ that are the exclusive right of the copyright holder. How does what you want to do with a work map onto the usages as defined in the law? Version 2.0 was released on 5th July 2017 at the CILIP Conference. The Instructions, the Card Deck and Copyright the Card Game v2.0 PowerPoint Slides are available for free reuse under a Creative Commons Non-Commercial licence. If you wish to use the original resources (v1.0) you can download Instructions, the Card Deck and Copyright the Card Game PowerPoint Slides for free reuse under a Creative Commons Non-Commercial licence. 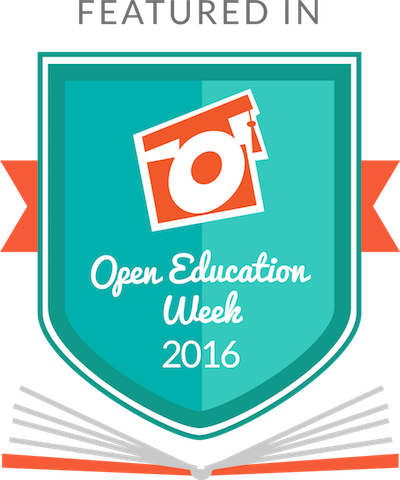 We supported Open Education Week 2016 and Copyright the Card Game was one of the featured resources. If you would like a brief introduction to how the game was developed and how it works, see the Library Connect webinar by Chris delivered on 13th October 2016. If you have played Copyright the Card Game, we would welcome feedback via this form. 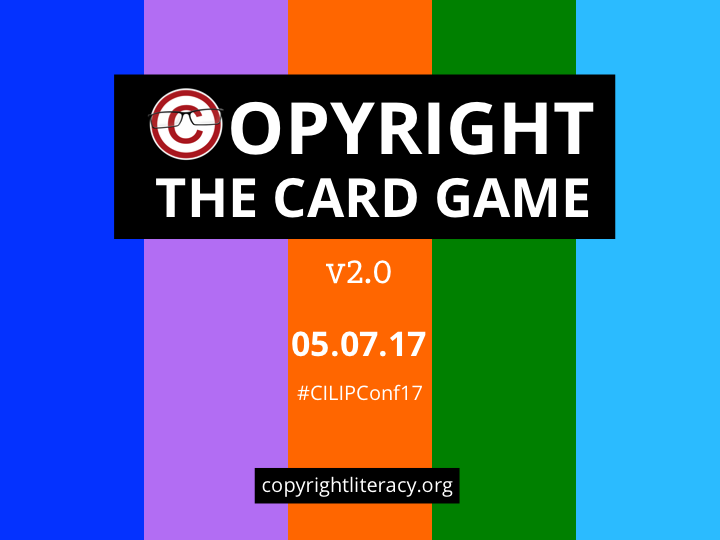 In 2017 Paul Bond a US librarian, has developed Copyright the Card Game – the US version. The resources are available from Paul’s website. As with the UK version, you can download the cards, the scenarios and slides to use in your own teaching sessions. They are also licensed under Creative Commons. In 2018 Alex Kohn and a team of librarians in Canada released Copyright the Card Game – the Canadian edition. The cards are available as PDF, as Microsoft Publisher file (on request) and there is a slide deck in PowerPoint to accompany them. They are also licensed under Creative Commons. In 2018 working with Jenny Greene at Bangor University and the university’s translation service, Canolfan Bedwyr, we have produced a Welsh language edition of Copyright the Card Game (Hawlfraint Gêm y Cardiau). The Card Deck is available on our website.